U.S. defense officials said Friday that Iran has contributed troops in the fight against Islamic State forces in strategic areas near the capital Baghdad. According to the officials, Iran sent heavy weapons and operating artillery for Iraqi ground forces working to retake the Beiji oil refinery from the brutal militant group, which has made major advances across Iraq in recent months. The Obama administration earlier said it would not mind if Iran wanted to contribute in the ongoing Iraqi operations against ISIS. However, it said that the Shiite militias backed by Iran would have to act in accordance with the Iraqi government. The defense officials acknowledged Iran’s significant role in the Beiji operation. ABC News reported that the officials were not allowed to talk publicly about Iran’s role in Iraq. The officials spoke on condition of anonymity. According to one of them, Iran is operating reconnaissance drones, artillery and 122mm rocket systems to help Iraqi ground forces. The Trumpet reported that most Western media sources failed to notice that Iranian Defense Minister Brig. 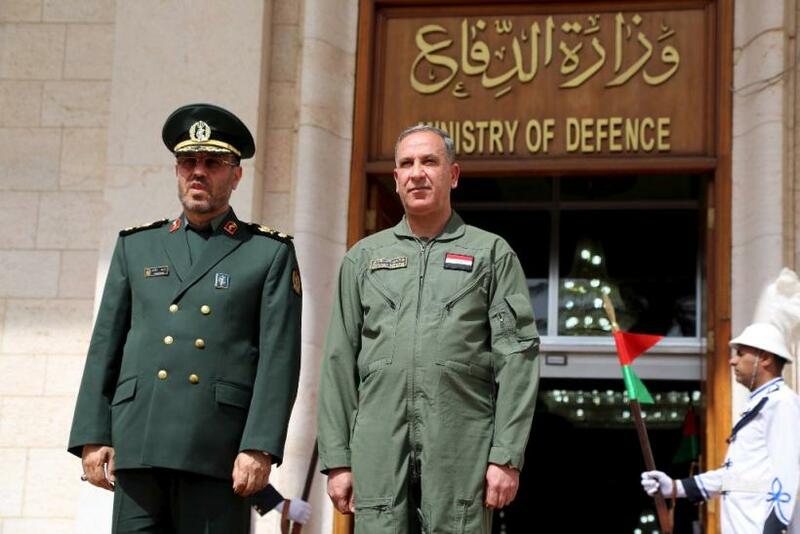 Gen. Hossein Dehghan had gone to Baghdad May 18 to meet Iraqi Prime Minister Haider al-Abadi. The meeting indicates the development of bilateral relations between the countries. In the meetings, Abadi appreciated Iran’s role in Iraq’s fight against ISIS. The U.S. military statement on the Beiji operation does not mention Iran’s role but acknowledges the U.S. military support for Iraq. The Friday statement says that Iraqi security forces have managed to build a land route to the refinery compound. The statement acknowledged steady progress by Iraqi security forces against ISIS forces. “In the past 72 hours, we have seen the [Iraqi security forces] make steady, measured progress in regaining some of the areas leading to the Beiji oil refinery despite the significant [ISIL] resistance in the form of [improvised explosive devices], suicide vehicle-borne IEDs, as well as heavy weapon and rocket-fire attacks,” the statement quoted Marine Corps Brig. Gen Thomas Weidley.